Like other universities in India, Many Open Universities in India also offering MBA courses to students & working professional. 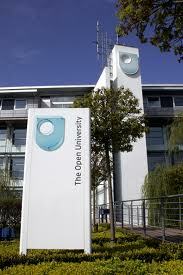 If you are wondering "how to take admission into Open University MBA courses" than let me tell you it's really easy. 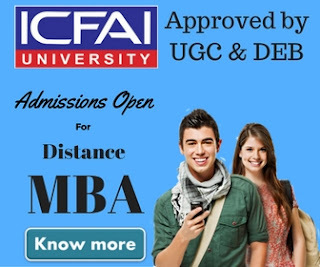 Unlike regular MBA courses where getting an admission is becoming more & more difficult day by day, Open Universities in India are making it easier for working professionals & universities. All open universities in India have to be recognized by UGC in order to offer a degree. National Assessment and Accreditation Council of India (NAAC) is responsible for assessing the operation & examination schedule of these Universities. After assessing these universities, NAAC also grade & rank them. Here are some top universities offers MBA. IGNOU offers distance education degree programs in many disciplines including management. IGNOU, the largest university in the world with 3,500,000 students.It is affiliated with UGC, AICTE, COL, DEC, AIU & UNESCO. KSOU is another popular open university located in Mysore, Karnataka, India. 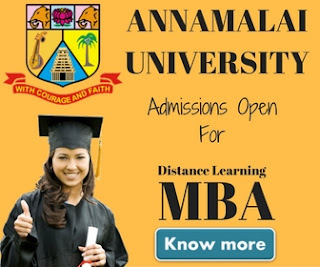 It is affiliated with ACU, AIU, AAOU, CoL & UGC. It functions through 13 departments managed by 57 well-qualified faculty members & has a student strength of 1,00,000. Uttar Pradesh Rajarshi Tandon Open University is a public university in Allahabad, Uttar Pradesh, India. It was founded in the year of 1998 & has been affiliated by UGC. The university was come into existence in 26th August 1982. Currently the total number of students on rolls in all the programs is about 4,50,000. It is located in Jubilee Hills, Hyderabad and currently offering 2 post graduate programs in management. MPBOU is located in Bhopal Madhya Pradesh. The university offers 3 years distance learning MBA program under Department of Management & Entrepreneurship. It is named to honour the Illustrious King Bhoj a Great Patron of Learning. It was established in the year of 1991. Bhoj University gives special emphasis to target groups of learners coming from rural areas and especially those with disabilities. Vardhaman Mahaveer Open University (VMOU) previously known as Kota Open University is located in Kota, Rajasthan. It was came into existence in 1987. Currently university is offering 3 diploma & one MBA course under it's management courses. Open Universities in India has made it so easy to get an admission into MBA. You just need to download the form from their website & send it back to them. After some time they will deliver you the course material at your home. Universities like IGNOU conducts a entrance exam to to get admission in MBA.